Sometimes improper bite presents itself early in a child's life. 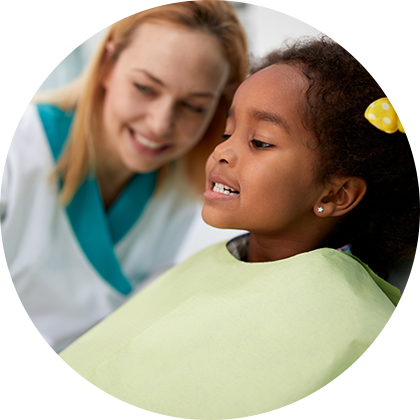 Routine checkups at the dentist are vital for your child as it means that we can pick up on these issues early and provide early orthodontic intervention. Children are treated with utmost kindness and care at our clinic, all our treatment and appliances are fashioned in such a way that they are easy to wear for kids whilst effectively correcting poor bites.